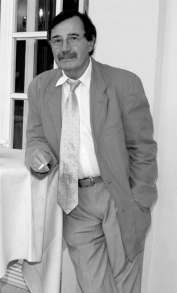 Prof. Dr. Artur Meier, Soziologe, Berlin"
Artur Meier served as a teacher, headmaster and school supervisor in high schools and adult education facilities between 1953–70. He obtained a MA Degree in History in 1954 and was awarded a PhD Degree in History in 1964 and a PhD Degree in Sociology in 1970, both from Humboldt University of Berlin. Since 1970 he has served as researcher, lecturer and Professor at the Academy of Educational Sciences and Humboldt University of Berlin and since 1976 has also been Full Professor of Sociology of Education and Sociological Theory. Dr Meier held the position of Director of the Institute of Sociology, Humboldt University of Berlin between 1986–91. His specific fields of professional interest are sociology of education and sociology of youth, andragogy and history. For many years he has been engaged in research work and dissemination of sociological knowledge in the framework of the International Sociological Association and was the Vice President of the Association between 1986–90. He also serves as a Board Member of the Research Committee "Sociology of Education" of the German Sociological Association. Dr Meier received several international honours: A prize of the Polish Academy of Sciences, 1976, Visiting Professorships and Scholarships at USA Universities, 1988–89 and the election as "Man of the Year" by the American Biographical Institute in 1991. Born in Berlin in 1932, the son of Alfred and Frieda Meier, Artur Meier has an adult son.